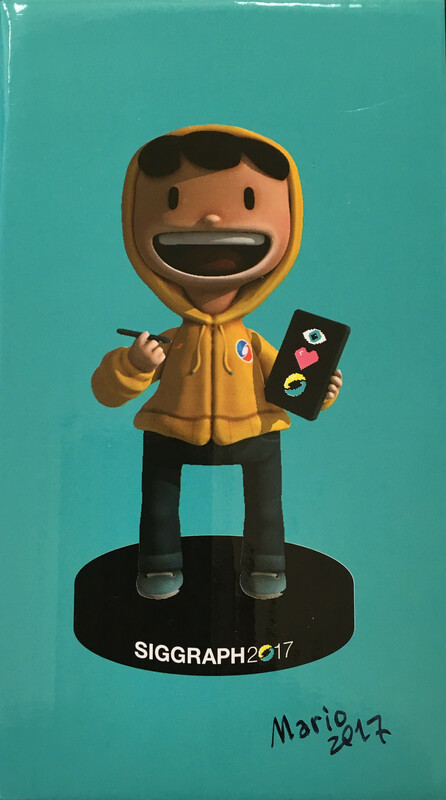 Shay DPixel Bobble Head Box Siggraph 2017 BobbleHead Box for Shay D Pixel from SIGGRAPH 2017. Measures 3.75" x 3.75" x 6.5" overall. Thanks Mario for signature! 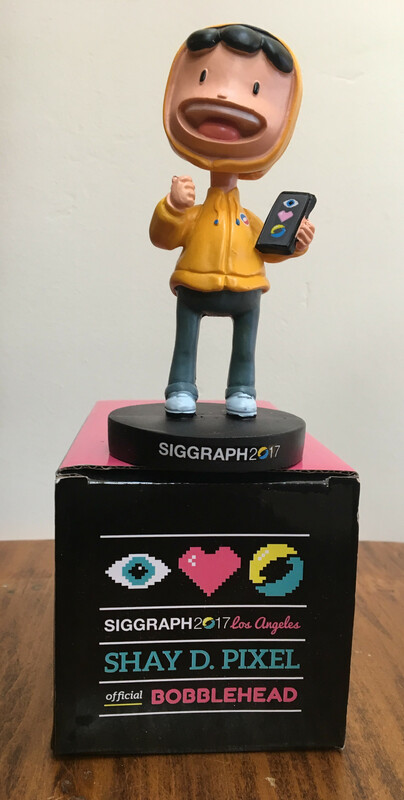 Shay DPixel Version 2 Shay D Pixel standing in default pose from original real-time model for SIGGRAPH 2017, approximately 1m tall.